As fall approaches, the fashion world is already jumping ahead and looking at spring! The Mercedes-Benz New York Fashion Week (NYFW) has just begun and everyone is headed to NYC. This year NYFW runs from September 4th-11th featuring amazing designers from across the globe. 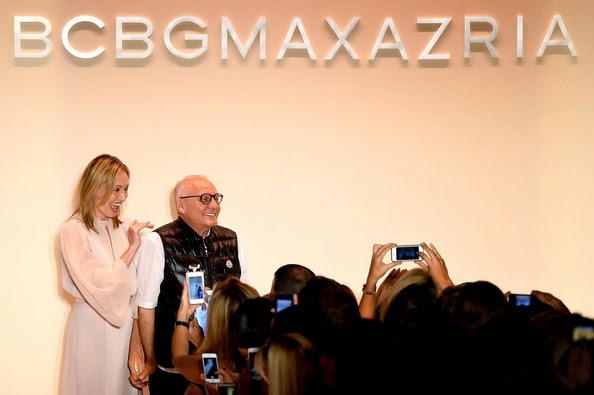 One of the first designers to kick off fashion week was BCBGMAXAZRIA. 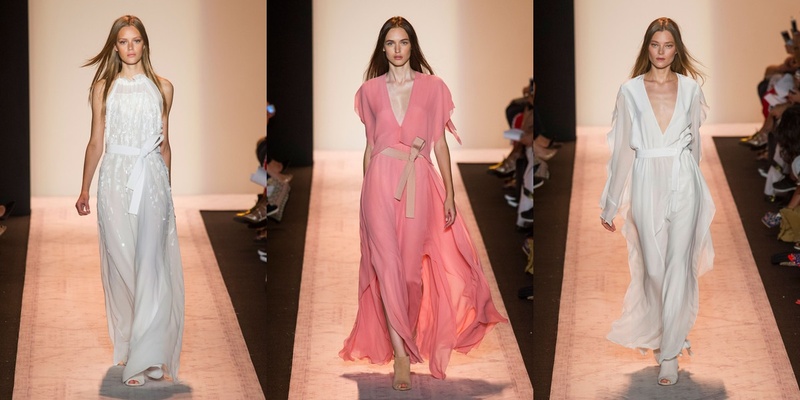 The Spring 2015 collection mainly consisted of neutrals and light pastels in beautiful, flowing gowns. I loved how the dresses floated gracefully on the models as they glided down the runway. There were also some more colourful prints which popped nicely against the remainder of the collection. This collection is easy to wear and exudes femininity. The reoccurring bow belt in various colours added a cute touch and helped pull all the different looks together. The hair and makeup looks for the models stayed with the easy and effortless beauty of the collection. The hair was pin straight and flowed beautifully behind the models, while the makeup provided a more natural look with a pretty glow. Pretty Little Liars star Shay Mitchell and Sin City's Jamie Chung sat front row at the show. Both ladies rocked black and white outfits and looked gorgeous at the show. Overall, I really liked the designs presented in the BCBGMAXAZRIA Spring '15 show. NYFW is just beginning and I can't wait to see what other designers have been working on over the past months!